Michael: Welcome back to the show. I am here with Patrick Quinn from WebApper and the Lucee Association of Switzerland and we're going to be looking at the challenges AWS managed Lucee C.F.M.L. hosting doing things in the cloud that you used to do on a server and all the clever stuff he's been doing a web app with that. Also, how they have moved their focus from Adobe ColdFusion to Lucee C.F.M.L. and why they did that. And as he's the product manager global product manager. I'm sorry Patrick. I'm going to get your title right there because I know it's far more important being a global project manager for Lucee. Michael: What's exciting about Lucee coming up in the coming year? And we'll also briefly mention some C. Fusion secrets you can use for high performance on the cloud. Because ColdFusion has been upgraded now, works on the cloud versions of ColdFusion so, we'll mention that as well. So, welcome Patrick. Patrick: Thank you Michael great to be with you as always. Michael: Yes good seeing you so, you've moved to doing AWS managed Lucee hosting. What are the challenges you had to deal with in doing that because it could be quite complicated to get it right? Patrick: Right so, the first challenge was just picking that meaning I managed hosting in the Amazon cloud, or we also offer consulting and support services to customers who are already in the Amazon cloud. But we've been doing ColdFusion consulting since the very beginning. Our co-founder Mike [inaudible] 01:34 has support emails from 01:37 on our hard drive somewhere. He was with the platform before is was even called C.F.M.L. back when it was called D.B.M.L. – Data Base Markup Language. 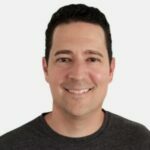 And then of course you know all of us here at WebApper we all work to deliver together that's where you met myself, our co-founder Mike, Darryl, the chief executive C. Fusion [inaudible] and lots of other people who [inaudible] over the years. So, we did that consulting work for a lair that was really the first ColdFusion consulting in the world continued under Macromedia and then we started WebApper after the Macromedia days and it's been since 2001 we've been doing this. So, we were just doing hundreds and hundreds of ColdFusion consulting support and development agency and that was great. And then, around about the time that I personally had completed my five hundred ColdFusion product projects under the WebApper Bella 02:28, I started thinking more seriously about that C.E.O. title I have instead of just being the developer who happens to sign paychecks. And so, we started thinking about what's next, what would be the next generation move [inaudible] 2:41 move for our company. And so, we've been partnered with a lot of traditional hosting companies over the years. We brought in professional services for a lot of the ColdFusion hosting companies. And we started looking more and more at the Amazon cloud first for a machinery and then, just maybe provide this as an offering. And then, that's when the label went off and realized wow, we can actually be able to manage those the provider, we can control the entire system; no middleman at all. So, that was really exciting to us and we started that effort in 2012 and then we started really accelerating that effort about two, three years ago. Got deeper into the Amazon partner program and there's a lot of certifications and [inaudible] required. It’s a really legitimate certification and training program for the Amazon partners. So, we got through all that and so we could make sure that we had a really bona fide offering. And so then, the option for us was to be able to move ColdFusion customers into the cloud. So, we'll talk more about Lucee a little bit here. But the big challenge was just that, was moving these; because of course ColdFusion is the ultimate model, right. So we're all about monolithic applications as compared to cloud design, pattern applications, and micro services, server lists, and head lists applications, and all these new patterns and strategies. Well that ColdFusion systems are these monolith web applications that have been built by that tens of thousands or more over many, many years. And that's true of our customer base too. So as far as the challenges goes, the first challenge is first of all making sure that we were fully qualified to do that so, we checked that off the list. Then the second thing was moving these systems into the cloud and trying to cloudify them along the way. Now up through that matters a lot of the customers that we move into the cloud whether they stay on, Adobe ColdFusion which many of our customers do or whether they migrate to Lucee which we certainly hope customers do as well. The fact is that most of them are lift in shift migrations. So, we're applying claw design patterns where ever possible; micro services and these sorts of things. But the majority of the systems are still lifted and, shifted as the saying goes meaning they’re application server base, and they’re database server base and so, we're still dealing with servers more so than services. But it's still an improvement, the Amazon cloud in our opinion the most sophisticated hosting system on earth. It's almost unbelievable the things that can be achieved far more than any traditional data centers or physical machinery data centers. So even just getting in there with an old fashioned web application is still a big improvement and then, you're in a great position to be able to continue to cloudify and modernize all the applications. And so, we are always working on that with our customers gradually along the way. And so, that's the first big challenge and then, the rest of the challenge is just you know, it’s a complicated system. So, you really have to be on top of all the time and so, because it's so complicated, there are just so many variations on how it can be set up and everything's… you have to carefully set everything up so that you're properly monitored and you're… There some myths about cloud hosting and Amazon's in particular that as long as you're in the cloud, everything is magically redundant, magically still not in all the case. And so, you have to build almost all that stuff in there. And so, that's one of the challenges that we stay focused on. Michael: So, you mentioned some amazing features there are in AWS. What are one or two of the things that really blew your socks off when you started using it? Patrick: Yeah, I would say if the intelligence scaling is the most… certainly the early on it was the most interesting feature to us. We've been getting more and more into containerization and cloud design patterns, dockerization and so forth. But also Microcircuits architectures. All that stuff is all fine and good. But one of the first things that caught our attention was auto scaling; that’s the term in Amazon cloud. Michael: When you say that word provisioning a new server I get this nervous feeling that it's going to take weeks to do. What kind of timescale does it take to provision a server? Patrick: At one point when we still have some of our hosting partnerships in place, we're on a phone call with as a partner to the hosting company. The company [inaudible] 07:35. But one of the account managers actually said on the call that it will take three months to get that new server for you. You being a customer in this case and we're going to set it up – ColdFusion set up for the customer. That was one of those moments where we just said, okay fine, this is too much we can't do this anymore, right. So, the provisioning of additional server capacity is automatic or it's automatically set up that way, and it's instantaneous as new server provision can get you know, minutes and that sort of thing. So, having your server infrastructure scale without manual intervention is certainly compared to traditional data centers; that's an almost magical capability. There’s a bunch of other stuff that goes along with that. The automatic scaling of the storage network. So generally speaking, storage is automatically scalable inside Amazon in particular if your main storage here is the S-3 service. We do a lot with customers able of course, we based on our long history with ColdFusion where performance engineering experts, right. So, we have a lot of customers that come to us at pretty high traffic systems so the C.D.N. which is called Cloud Front; that's the name of the Amazon service. That is another system where the caching and the delivery of the assets and the optimization out to the locations around the world wide network. All of that is automatic. So, one of the great things about Amazon is that it is complicated and you do have to have depth to run systems especially complicated systems, or hyped up systems. But you get so much from Amazon. They are constantly getting rating on that product and they are constantly improving it. And a lot of times, the improvements are in the form of price too. They'll just deliver you price reductions and those are the longer history customer. So, the technology… I can't say enough about at WebApper, we've been in literally hundreds of data centers over the years amongst our customer base all over the world, whether it was virtually or physically in person. And that was the thing that really stood out to us the most by way of comparison. We've seen all that data center machinery much of which was impressive stuff for what it was. But then, when we say oh, it's capable, oh, it’s possible with Amazon. One more topic I'll throw out is geographical distribution of systems. So in Amazon, it's almost trivial to have a ColdFusion server over here, and another ColdFusion server three blocks away separate backbones to the internet, separate power supplies, separate physical buildings. Those are called the 10:12… zones in the Amazon cloud. It's almost trivial to achieve that even for the database. We have replicated database set up for customers and the two replication servers are in separate physical locations. But it's entirely seamless as far as the application is concerned of course as far as the users are concerned. So in traditional hosting infrastructures, that is incredibly expensive to implement and Amazon makes that much easier and less cheaper. So, that’s another one of the specifics that caught our eye. Michael: That sounds really cool and the future of WebApper are going. So, it’s great that you’re spear heading this WebApper and getting Lucee into this as well. So, I know you started off as you said in LA. And you will begin Adobe ColdFusion from lots of years and you still do that stuff but, you've moved your focus to Lucee C.F.M.L. Tell us about that story and how you made that move. Patrick: Now so, the first in figuring out what to do next as a company instead of just one more ColdFusion consulting engagement after another. And we have done again more than five hundred when the light bulb went off that I should start to think about something else. The first thing we did was some kind of foundational service and that was Amazon Web Services; and I already described how we got deep into that. But alongside that, we felt like we wanted some other offering as far as the platform that runs on top of the hosting infrastructure, right. So, we have been fighting the good fight for Adobe ColdFusion, going all the way back to the mother ship. We work there, we've been the loudest and proudest evangelists for many, many years. And we're still proponents of Adobe ColdFusion. Of course were happy to see things like [inaudible] was just on stage at the C.F. objective conference last week talking about that 10 year old road map for the Adobe ColdFusion product. We have seen that but, we wanted something else. We wanted to have another option for our customers. We've been hearing the talk about more and more companies of courses with our huge customer base including C. Fusion customers hearing more and more customers talk about moving off the platform or already deciding on their own to move to what was right; now Lucee the free open source version of ColdFusion. So, also in the Amazon cloud though I would argue the Adobe ColdFusion is a little awkward for the Amazon. The pricing model in particular is not that cloud friendly. If you want to scale large, high traffic systems, it's going to be quite expensive to run Adobe ColdFusion in the cloud. And that bothered us. Michael: I've never seen the pricing model for cloud based Adobe ColdFusion. What exactly is that? Because I’ve looked for it. Patrick: Yes, right well, unfortunately, we can do a hell lot of a podcast and reading the EULA – the ColdFusion coefficient and the treatment. Anyway, a lot of this is buried in the details. There are two ways to license Adobe ColdFusion in the cloud. They have an official army that stands for Amazon machine image and that's lessons included and that's just a prebuilt server with Adobe ColdFusion installed and license and you spin that up. But for every hour that you're running that, you're paying an hourly fee. But that's a sliding scale price. So, as with traditional Adobe ColdFusion licenses, your price will scale up with the size of your machinery or with the number of servers that you’re running. Well, we just knew that once we got into the Amazon cloud with our customer base and our reputation for performance, we were going to have a lot of customers coming to us saying; we need N-scale systems, we need systems that might have a base of ten C.F.M.L. servers but, that might be to scale to twenty or thirty. Well there again, that is an expensive proposition using Adobe ColdFusion. So, we did love that having that as our only platform option for all of our C.F.M.L. customers. But we also like a lot of people if you talk to the member organizations in the Lucee Association Switzerland, they were all very like-minded. So, we love to C.F.M.L. platform, we love the C.F.M.L. language as a tool. And despite all of us advancing in age, and experience, and maybe gray hair; that for me. And I have made it out so I have to tease out the only advantage I have which is not much gray hair anyway. So but we're like minded in wanting to have a platform that we can control the destiny of. And so, of course you can't really do that with a proprietary corporate software packages like Adobe ColdFusion. But there's every option in the world to do that for an open source software project. Anyone can join a fuss project and roll up sleeves and get some work done. So for financial reasons, for scaling reasons but also, just for controlling our destiny or reasons, we made the decision to become financial and technical stewards of Lucee. That was [inaudible] 15:09 still just as it was just transition to Lucee that we got involved there was a fork there and a rebranding. And I met with her mission Los Angeles. I remember and we just were we hit it off right away. We had known these guys over the years just had never really taken a formal step in this direction. So, we did it and we put our money where monthly financial supporters; that’s what it means to be a member. Members all contribute financially every month to Lucee’s budget and paying for the development team of course and marketing all of think you need to do. And then, we went a little farther than that then I got on to the management board of directors. It’s Swiss based nonprofit. That's the corporate steward and the corporate owner of Lucee; excuse me. And so again, nonprofit has a management board of directors. So, I'm on the Management Board of Directors myself as a head of WebApper and then, that management board elected me to the Product Manager. It's a global product manager because it's outside the US right. So, that's the markets [inaudible] 16:07. So that's product manager over the everyday development team. And so, I really felt that that was important. We have a huge customer base, we have well over a thousand customers. I think it's fourteen, fifteen hundred individual customers. We worked with companies and for organizations large and small over the years. And I felt it was really important that if we were going to be saying, you should move your systems to Lucee, that we had a really strong role in it, and a really firm commitment to it. So, that's why we joined Lucee Association Switzerland L.E.O. 's we became financial and technical supporters. And then, we also got ourselves involved in that product manager role for the low price of zero dollars and zero cents per hour. You just can suffer. Michael: Yeah, I was going to say as global project manager, you get a higher salary. But you get paid nothing. Patrick: It is, it's double the base salary which is zero so. Michael: I'm sure everyone in the C.F.M.L. world appreciates you leading the product management there because without someone to take charge of where the product is going and keep things moving along it. And I think you – didn't you introduce the monthly releases or was that? Patrick: Yes, that was my first contribution. I wanted to see a consistent and published release cycle. In general, we needed to just to be a lot more transparent about things. It's very difficult when you have an almost entirely volunteer organizations. Certainly, the management structure is all volunteer and all these member organizations are these are some of the most successful companies in the C.F.M.L. world. And so, these are all developer, owner, entrepreneur types like Jeff [Dollars] 17:58 at Damon's offer in Australia. One of the leading lights in the entire history of the C.F.M.L. movement and that's just a really busy guy along with all the other people who work in the number of organizations who support Lucee. So, it can be hard to get things in shape organizationally, and the technical side of getting in shape organizationally of course is making sure that the development process is rock-solid. And that's everything from build automation, build ups tooling, and all that stuff and tester and development and automated testing and then test coverage to make sure your test coverage, your code coverage is good with your tests, and all of those things. But also, a big part of it is communication and having a published release schedule that you stick to. And so over time, not only does that crank out a lot more functionality and a lot more stability and performance and all the things that you get in your code every day but it then it builds confidence in the platform too which is really, really important. Because of course, as we move more members into the membership to become paid supporters of Lucy but also along with that as we recruit bigger and more complicated systems. Rightly so, those organizations are going to be kicking the tires on all these things and be of course want to have good answers for all the questions they ask us. So, that’s what we're doing. Michael: I know one of the questions on my mind with Lucee is how do you deal with security issues? Because that's something that Adobe has taken a good lead on being public about security issues in ColdFusion an issue in call fixes very quickly. So, how do you deal with it at Lucee when you find a security issue? Patrick: Yes so, security vulnerabilities are always a top priority. Of course any time you're making tools that other people use to make software and hopefully it translates into lots and lots of software. We have a responsibility of course to make sure that that development platform is really secure. So and I agree Adobe has done a much improved job in recent years about being really quickly on top of those sort of things and communicating about it. We've always been on top of it and in fact, our responsiveness was even better than our communication about our respond to this. So, we can get patches out same day, same hour and the build process is a very solid build [inaudible] 20:34 confirm it we can have a patch on it in an hour. Yes so, we are just talking about security there. So, vulnerabilities are always a top priority the way it works in terms of the everyday development processes that. We have the monthly sprint and the monthly sprint is almost entirely enhancement and fixes those are all dot releases or release versions of Lucee. It's the three part version number so, 522 is the next version of Lucee that will come out. 521 is the current stable version so. And then, a couple one or two times throughout the year we’ll do a minor version release which the next the current one is 52. We’ll release that in June and that's were actually adding some new functionality and so, we mostly follow the semantic version. Anyway, the point I was making though is that we have a monthly sprint and that produces monthly releases of Lucee. But we always have time in our development schedule set aside for other things. Sometimes, these other things are sponsored fixes. So that's one of the important things about Lucee. Any time you're burning for any kind of a fix, or an extension or anything like that, you can actually pay on a per feature or per fix bases, and get your particular Lucee need right to the top priority list. So in terms of our development schedule, we leave aside time for that. But also part of that set aside development time every month is for any urgent reaction to security vulnerabilities. Michael: Do you know if Pete's tools can check Lucy service for security issues as well? I know he has that hack my C.F. tool. Patrick: Yeah, I'm pretty sure we use hack my C.F. with both Adobe ColdFusion and Lucee customers. I don't think that it's that quite the exact same feature set. But I'm not entirely sure. Michael: Well, I’ll ask him. I had him on the podcast a while back at the into the box conference. So, I’ll reach out to him again on that. So, what's coming up in Lucee? What’s exciting in the Lucee world for the coming year? Patrick: Right so, more releases. So really smoothing out the release schedule. As we've picked up the release, the pace of release is of course we've had some more regressions and so, we already knew that was going to happen. So we're circling back to make sure we smooth that out and make sure that the increase pace of development doesn't linearly increase the amount of regressions and bugs and all that. So, continuing to keep the development process fast and efficient and producing lots of improved releases of Lucee every month; that's just kind of baseless. Michael: What's your secret for having smoother regressions? You have some automated testing, or some of the thing? Patrick: Yeah, we use a lot of build automation right so we use [ants] 24:13 and we use unit testing and [maven] 24:16 it's linked in there and with the repository and all that. So, having that kind of stuff in place is really the starting point to having a slow regression brain and all that. But you constantly have to massage that stuff. So like for example, we're just looking at the test coverage for O.R.M implementation and Lucee; which has been a little less than stellar to be totally honest. We spent a lot of time in the current sprint on that to make sure supporting the part of the community is [inaudible]. And their vocal bunch of course or has definitely got to support them. Actually, there are a couple of number of organizations that use arm heavily. And so, those folks have been really pushing those fixes. But the point I was going to make is that once you have all this build automation and tester development and built in automation and stuff, you have to make sure that your test coverage is good, your code coverage is good, and that your test cases are valid, and they're covering all the things that you need to cover and make sure aggressions don't happen or new bugs don't pop up for whatever. So, we've been doing that. We've been improving our unit testing, our test cases and all that. So, other exciting things are publishing more about the Lucee road map. So, next up in terms of minor version release will be five three. And we have an internal Lucee roadmap and so, we're constantly trying to call from the broader software engineering world and the cloud engineering world now with new brand new application design, strategies and approaches like micro services. So, we feel like we can really keep pace with that probably a little better than Adobe ColdFusion because we're nimble and are small. And we also don't have quite the size of say corporate large, multinational large, enterprise organizations with all those that installed base for Adobe ColdFusion. They of course have to continue to keep those customers happy. Like for example, with Microsoft in operations and things like that. Things that looks never be a part of Lucee. So, that's another way in which we're a little more free except to innovate. Michael: Do you have an estimated date for six point o or? Patrick: Absolutely not; let me be clear about that. No, the other point I was going to make is that those are things that are upcoming. But we have to do something in particular as we get the work on the minor version releases and eventually, the next major version release is six dot o is we've got to get the community involvement process sort of rebuilt again. There was something called a tag with Rillo at the very beginning of Lucee. It was the technical advisory group. It's dormant right now, it's dormant on purpose. And we talk about this in pretty much every monthly board meeting and management board meeting. So we have to get that right so that the whole feedback loop between the community, and the product team, and the roadmap which is published, and all of that is just one harmonious free flowing process. And it's not fraught with disagreements and all the kinds of things that can happen especially the open source projects. And if you look at crypto currencies there are like eight hundred crypto currencies now and each one of those is basically a software team; that's really what crypto currency is. It's a development team and so, a lot of those eight hundred or so crypto development teams have kind of the same problem. So, there's a lot of lessons to be learnt there in there. So, we want to make sure we do a better job of publishing what's going to happen with minor version releases and why. And certainly, then with major recently six dot o but then, also making sure that the community feedback loop is a part of that. And that way, we can bring in the best and brightest ideas from our community and build those in both minor version enhancements and the major releases. So, it's going to take us a while. If I had to have a guess sitting here right now, I'd say that six dot o is probably a year away but, it could easily be say early 2019. I may get in trouble with my fellow LAS cohorts for even saying that much. But just based on I've been inside the development team every day now since last October or so of 2016 so and it's not my first rodeo as a developer and develop manager. So, I have a pretty good sense of what's possible even for a big lift like say [Melissy] 29:56 six dot o. But anyway we're also just trying to be prudent about it all. So, we want the monthly release schedule, the regular release schedule to be satisfied easily, met as a goal every month, or every other month; whatever the current schedule is. And that we're producing really solid releases of Lucee each time and once we really solidify that, and will move forward and tackle the bigger things. We did I should know that we did mix in the five to release. So it was a minor version release in the middle of this month that really scheduled for 2017. And we got some good things in there but we also learned some lessons and so, we're going to take those lessons into future minor version releases. In fact, three being the next one and certainly, we're going to be very cautious with this except a release. So yeah, it's very busy and serious in my day, it's easily tied for first the thing that keeps me most busy is involved with Lucee. Michael: Wow! Well, we appreciate you doing that Patrick. I'm sure a lot of other C.F.O.s do as well. So, you mentioned there may not be back so it's compatibility on major releases. And I'm kind of curious why you decided to do that. Because I know Adobe ColdFusion, they try pretty hard to have backed with compatibility with at least the prior two versions. Patrick: Yes Right so, the part of the bottom line is that generally speaking open source software project versioning is different from corporate software versioning. And it has to do with the commitment basically and the controlling entity. In this case, it's a private corporation Adobe has to its customer base versus what you expect out of an open software projects. So, if you look at its most open source software projects you semantic versioning if you look at the way most of them operate it this way versus the corporate proprietary software way. So, we're really just following the crowd 32:06 this people following semantic versioning as closely as we can. And that's just a normal thing in semantic versioning of some software projects the major version releases are generally speaking not [inaudible] compatible. A recent example we are heavy into angular J.S. in the post flash, post flex world, post in original application world. I know you know a lot about that. Like everyone else, we had to pick a new platform for client side, building clients that the client side of the applications. And so, we standardize on angular pretty well or angular one dot one, or one dot two; whatever the last angular release is. The one dot X version is not compatible with two. Two is not compatible backwards. So, it's a big jump. You want to go to angular two, it's a pretty big jump and they're not compatible. So, that's an example from the open source world. Michael: And so, if people don't want to make that big jump, is the prior release still supported for some period of time, or how do you work that angle? Patrick: Yes so then, all of a sudden, we do pretty much adopt the typical corporate stance of supporting the last two releases. But if six is going to take a while to get out the door and then five dot whatever is your most recent release of five dot X, and you're supporting six and five. But you see what I mean that support life cycle is going to last a long time on the future. So I think it ends up being mostly the same timeline as the Adobe ColdFusion. They’ve got like a — it’s somewhere between a five and ten year support plan depending on what kind of support you're talking about. The level of support from when they release a version of a major version into one on the longer supportive. And so ours has been pretty close to that; I think in the final analysis. Michael: Okay well, that's good to hear from anyone considering trying out Lucee five today that they will be supported for years to come. Patrick: Yes, the good news about Lucy again is that the technical and financial stewards of Lucy are all really, really experienced web application engineers we've built really, really significant systems all of us in support of them or upgrade them. And we've worked with the biggest companies especially at WebApper. We were just the biggest ColdFusion customers in the world. So, when larger companies talk to us about their needs, we are intimately familiar with that. We've been working with these kinds of entities whether it’s the federal government, the United States, or international banking institutions, or large universities. This makes up a good chunk of the Adobe ColdFusion customer base but we’ve worked through them all. And so, we bring that understanding of large complex projects to Lucee and so, we certainly are not able to support those kinds of customers and also, lots and lots, lots of systems. I don't want to overstate the size of the customer going after Lucee. But everybody's welcome. Michael: And I was curious is there a… I know some open source software have feature voting where users get a sudden number of which currency items they can vote for new features. Maybe you get ten widgets or whatever and you can put them to wherever feature you want to get improved. Is this something like that in Lucee already or down the pipeline? Patrick: Yes and no, there's not an actual currency of sorts or a point system or anything like that. But one of the metrics that we watch most closely so Lucee has a [inaudible] 35:52 ticket system for Lucee development is an open system, anyone can get in there. And one of the features of … an up voting mechanism. And up voting on individual tickets is one of the things that we pay most attention to. So, if we get a ticket that gets creative and it gets a dozen or two dozen up votes in the first week, that ticket is going to be worked on first; period. And so, we do have that feedback loop in place. What we need to do then is apply that to the product roadmap and the longer term chronic strategy. We don't formally have that in place because again the official sort of committee level interaction between Lucee associates and Switzerland and the community is the tag. The technical advisory group which is on hiatus right now by intention. And so, when we bring that back into existence, we're going to have this whole formal voting mechanism and we just want to make sure that it's smooth that doesn't become bogged down. And so it can actually produce results. So and there's nothing worse than having a committee that isn't producing results. In the meantime, yes, we have put the mechanism in gear. And that's really the best way to give us feedback. I would say too that the other… You mentioned a kind of floating currency as there is. There is an actual currency that you can use. It’s just the sponsor axis. So, Lucee of course will be free and open and to be used as for free as for time immemorial. And you can also open source software so you can [inaudible] and test them yourself. Michael: I think that's great that you have that. If someone's really committed and they have some money on the line in their own system, it's probably a mission critical system. They can sponsor a fix and it not only helps them but, it helps the whole community by adding new features or fixes into the language. Patrick: Yes exactly, those things typically are committed back to the core elusive. It's a case by case basis but yeah, those things can certainly improve the lot for everybody as to get access to whatever the fix enhancement was. Michael: And then, did you have to do anything to Lucee to get it to run on Amazon Web Services? Or does it just run out of the box? Patrick: No, it just runs out of the box. Lucee has a really lightweight install. It's got a really small footprint for what it is for being it's still application server with a huge library of fun time services and functionally [inaudible] One of the things that we like about it is that it's especially scriptable. So for example, you saw that there's been a Lucee docker image for a long time now. Adobe still doesn’t have a docker image out. And that reflects some of the differences in script ability of the two platforms. The other way that Lucy is much more friendly to the cloud is in the obvious way. So, if you scale up twenty servers versus two, you still pay LAS the same amount of money which is zero dollars, zero cents. So, there's nothing scalable; that's scalable or quite so attractive as a form of scalability. Yes, financial scalability. I forgot to mention one of the exciting thing that's coming. We are going to have an official Lucee server image in the Amazon cloud. We're actually late on that to be totally honest. It's my fault personally that we're late because WebApper is the number one organization and is the only Amazon partner; official Amazon partner in LAS. We took it on and we just haven't been able to get out the door yet. But that's going to be a gold image. I'm going to be on the AWS marketplace and you'll be just like if you've ever spun out server machinery out of the AWS market place. These are optimized, preoptimized gold image type servers and it's point and click easy to get them spun up in your environments and things like updates can be included as well. So, you keep the engine patched in there with the latest and greatest updates. So, that official Lucee Army Amazon machine image in the AWS marketplace will be coming soon. We're hoping to get that out the door this year with everything else we have going on with Lucee. And we're hoping that you for example it's as easy as pie to get a Word Press stacked up and running pre-built and pre-optimized in the AWS marketplace. And we don't have it yet for Lucee so, that is coming soon. We're hoping that that gets a lot more people spinning up Lucee servers even on the free tier. In AWS, you can even be running the servers without even any Amazon costs and of course there are all the Lucee costs. Eventually along with that, we do hope to have a paid version for people who want to contribute to Lucee for a few pennies per hour every hour that they use Lucee and that would then just support the Lucee association. So, it would be a nominal hourly usage fee. And so, we hope to get one of those off the door too after we get the three army into the marketplace. But that's another really exciting option too that's coming with Lucee. Michael: Great! Well, I'm excited by that. How does having a gold image compared to getting images through the hottest tools for getting images? The command box spacing it out on the name there. Patrick: Yes, [inaudible]. It will be quite similar only that you don't have to use command box. So, you have to use command box which is one number of organizations tool set which is great or it is usually one of the most exciting memorization of Lucee. They kind of remind me of WebApper ten years ago. They were just hungry and this technical work they're doing is just so incredible. So, we're huge fans but it is just their tool set. So of course, not all customers are who want to use that toolset. So it would be just almost as simple probably not quite has simple. But the main thing because common box is just great tools. The main similarity would be that it's all done for you. Patrick: It's pre-installed, it's preoptimized. If you're spinning up a server that has four gigs of RAM and your heap for example would be pre optimized. You don’t have to figure out how to do that yourself. Or if you’re spinning up a tiny little server with one gig of RAM of course, you can have four gig heap for that server or if you've got monster servers. And depending on the web server that you're using, there’s of course a bunch of different ways to connect Adobe ColdFusion or Lucee to a web server. So, all those things would be done for you. So, it would be quite similar to a command box in the sense that it's done for you and it takes away a whole lot of the work for you. But then, it would just be ends on machine images without a command box installed and then point and click. So having them in the Amazon Marketplace is what makes them point and click easy. Almost as easy as given box the not quite powerful but you can through the Amazon counsel and you can just point the extent up the servers and it's all done for you. And then inside the server, all the stuff and web servers up some for you too. Michael: So, let me ask a dumb question here for people new to doing cloud hosting on Amazon and Lucee. With an Amazon server, you can bump up the memory anytime you want, right? And you could have Amazon itself decide the memory needed bumping up. Patrick: Well, yes and no. So, Amazon's particular implementation of virtualization does not allow for like that dynamic adding of RAM. Michael: So you'd have to create a new instance and add RAM on that. Patrick: Right so, the prepackaged instances what is almost trivial is creating an image basically cloning a server. And from that image then, you can just point and click spin up on to a larger server type with more RAM or more C.P.U. And this can by the way all be automated and all be scripted so, your auto scaling configuration can say, if the server is struggling because of memory issues. That's possible especially if you use C-Fusion because C-Fusion writes all the internals of Adobe ColdFusion or Lucee into the Amazon cloud watch service which is the service that is monitoring all the different indicators of performance, stability and so forth. So one of the things you could have C-Fusion write into cloud watch is a memory contention problem, a memory starvation problem. And then your auto scaling, your launch configuration could react to that by saying well don't spin up another server with another RAM. Spin up another server with double the RAM. So, it's not quite just dynamically adding RAM which some virtualization systems can't do. But the result is the same. It's fully automated and scripted and so forth. Michael: And then, how would the Lucee admin settings take advantage of that? How would you tell Lucy when in that new server that it was going to use more RAM for its JBM for example? Patrick: Right so, that's the scriptable part so, you can make all of this fully scriptable. One of the most interesting ways to describe Amazon Web Services is that its infrastructure has code. All that is just a bunch of software. So, whether or not you use the consul, and the consul sort of seems like it's controlling servers and load balancers, and disk drives, and all that. The fact of the matter is that it's all just software. So, when you use the Amazon Web Services consul, that's just making A.P.I. calls to the same A.P.I. that you could write custom software against to control your Amazon infrastructure program automatically; your software. So in all of that is where you could say, spin up this Lucee server as a larger server instance with more RAM and at the same time, make allocation larger. And so I see your point. If you spin up Lucee on a server with 16 gigs of RAM, but the heap is still two, it's going to start just as quickly as it is that's the point. Michael: Cool! So, you mentioned C-Fusion which is part of the spin now for more than ten years now and helps you optimize your ColdFusion apps. Tell us what’s new in that. Is the cloud support in C-Fusion now or? Patrick: Yes, C-Fusion actually turns thirteen next month August. 2004 was when we sold our first C-Fusion license and so, we were the first to market with a monitoring tool built specifically for ColdFusion systems and that was one of the signs of our deep commitment to the platform. So it's part of everything else. This whole evolution that we discussed. We saw the ColdFusion C.F.M.L. evolving and WebApper of course has to evolve as a company. That's what you have to do in your own business is evolve. So, we have all been to the Amazon cloud. We brought Lucee along with us. And then, there was another piece to the puzzle as far as WebApper was concerned which was our C-Fusion product and we'd actually fallen behind a little bit on updating it. So, after we got done with all of this Amazon and Lucee work and getting our selves set for that, then we started redeveloping C-Fusions. SO, C-Fusion five dot o released in May of 2016. Five dot one later that year and then, we're just about to release five dot two. Five dot two is due next month August of 2017. So, the two most interesting new features in C-Fusion relative to the Amazon cloud of course since we have made this commitment to the Amazon cloud including bring Lucee and there is an option for C.F.M.L. systems. We were obviously pretty likely to make C-Fusion Amazon cloud friendly too. So, the two I'd say that two of the biggest new features there are some others and he probably have a whole others which will have to do. But the two features are highlighting our Amazon Cloud watch integration; so I mentioned that. So, cloud watch is the monitoring system in Amazon; the monitoring service. And it's incredibly sophisticated, incredibly customizable. And what you can do is it monitors all the typical metrics right. C.P.U. and network throughput and memory and a bunch of other metrics. But it's also customizable. You can write custom metrics into the cloud watch system. So, what we did is we created a new feature in C-Fusion that takes C-Fusion of course as the first achievement of C-Fusion was to expose all the internals of first Adobe ColdFusion and then [inaudible] 49:53 Lucee. And so that used to be a black box we used to call in the old days. You had no idea what was going on inside that process and of course that made [inaudible] almost impossible. You had to be almost part artists, witch doctor, and part scientists to try to figure that out. We figured out a lot but obviously, being able to see all the metrics was a big deal which is why we named it C-Fusion. But that really is one of the first step, once you can expose all the internal. So, we're talking about thread pools, and thread states, and all the memory percentages, and all the timings. How long are the requests running? What are the averages? Whether they’re the long running ones? How many records are returned from this query? All of those internal metrics that are the key metrics that relate to performance and stability. Once you expose those, then of course very soon thereafter you've got to do something about it otherwise, you're just exposing your problems all along. The problems aren’t going to get fixed. So, we've actually built some problem solving intelligence into C-Fusion; and there are some other features. But most importantly, as we take all of the C-Fusion metrics and if you're in the Amazon cloud, you can write those metrics into cloud watch and then cloud watch can be watching that. So at this point now, cloud watch is watching ColdFusion’s or Lucee's internal metrics. So that's a very in-depth form of monitoring that's very ColdFusion or Lucee specific and then, you can have the sophisticated scaling system react to it adding more servers, more memory, sending alerts; all things you can do with cloud watch. So, cloud watch integration is one and then, the cloud licensing model is finalized in C-Fusion five dot two which is coming out next month. So that is the officially and hourly licensing mechanism. I think the price we're going to target is ten cents an hour; don't quote me on that. But anyway, one of the things that we like, everyone likes about Amazon is that you can use resources by the hour and if you just use them as it is like that, the pricing is very friendly. So, we wanted C-Fusion’s just perpetual license pricing is still very, very friendly. Still only four hundred dollars per server for enterprise such a huge amount of functionality for a very low price. We do have like customers that still buy the perpetual licenses because it turns out to be the best deal for them. But then, we have a license, hourly licensing model now for elastic systems. So, there are just so many elastic systems out there. Like for example, a lot of customers are running fully dockerized containers, fully containerized Dockers. Running docker containers in production and so of course, the general idea of the containerized environment is that the containers are like cattle. They're not like pets that might be a good example to some people. But the point is that they’re disposable and no longer want to love them for twenty years like we used to do with the old servers. I mean [inaudible] 52:44. So, the point being that if you are following this model and your servers are expendable, then you're going to have a lot of [inaudible] and so you want your licensing models to be from the long way. So if you're going to run this server for twenty two hours in a month and then it dies and goes away, you only pay for twenty two hours of C-Fusion licensing. And then, throw it away and then somebody else, some other server gets in there and starts using up the license. So, long the short of it isn't already licensed model is that's another it'll us specific feature in C-Fusion. Michael: Well great! It's exciting so, let's just pivot to some slightly different questions I'm asking everyone on the podcast which is, why are you proud to use C.F.M.L.? Patrick: Right so, we have a somewhat practical answer that and a somewhat prideful if you will answer. We really feel like our answer is the same. A lot of… in our opinion and a lot of the best ColdFusion developers have a very practical answer to those. We are proud to use it because any engineer is proud to use best of breed tools. And C.F.M.L. has always been in our opinion a best of breed tools for what it does, for web applications and other kinds of things you can build in C.F.M.L. So, we certainly believe that. We use it, we continue to be proud to use it because like any craftsman, we're probably used the best possible tools. But we also have this history almost of personal history and that all this year WebApper almost all of us go back to a later corporation. And so of course, we have a lot of pride in the art of history and [inaudible] others and ColdFusion being the first application server at market in 1995. Everyone in the C.F.M.L. community should have a lot of pride in being part of this movement which is now twenty two years old. So, that's another reason that we’re proud. Michael: So, sometimes I read online about ColdFusion dying and I've been reading it so long it seems like a little crazy that people keep putting that out on blog posts. But I'm more interested in how can we make C.F. more alive? 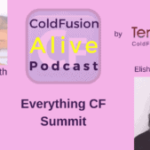 So, what would it take to make ColdFusion more alive this year? Patrick: Yes, right so, part of this is an answer that won't let us any points from Adobe. But more support of Lucee. I think there's a very strong argument to be made that the most exciting things that are coming out of the C.F.M.L. world are happening with Lucee. The pace of developments, the implementing of best practices, and from the broader software world. More of this is happening with Lucee. Of course, Lucee is more friendly to crowd environments just because of the fact that it's an open source software product. But looking more broadly and including Adobe ColdFusion, Adobe continuing to support a ten year product roadmap; that's very, very exciting. Continuing to make sure that Adobe ColdFusion summit is still the biggest and best funded, and best attended conference every year. Despite the fact that we've obviously talked a lot about how we've moved in the direction of Lucee in recent years here; WebApper. But nonetheless, we're very happy to see that ColdFusion summit do well every year. So it's more of the same of everything we're doing here. WebApper, more cloud, more Lucee, and more continuing to push into new things for C.F.M.L. based systems. And I think the biggest part of that is going to continue, the biggest growth there is going to continue to be Lucee. Obviously, the move towards open source software is a worldwide trend. I mentioned those eight hundred or so crypto currencies – those are all of course software projects. So, I mean if we're freeing money from the clutches of central banks and government meddlers, that's all based on free open source software. Such just one example of how this is obviously a big, big trend. So, we're happy to see that trend unfolding with C.F.M.L. based systems and we’re going to keep pushing real hard to make sure that’s successful. Michael: Great! Well, I'm excited about all the things you're doing that help out C.F. So, I know you were speaking at C.F. objective last weekend, or just before the weekend. What did you enjoy at the conference? Tell us about your experience. Patrick: I personally was actually sort of a realist sponsor of the real estate if you will. I did not have a speaking slot but something like eight or ten or twelve other Lucee members had slots or there were I think it was like a dozen different slots to Lucee members. So, it was great to see a lot of the tried and true the old stalwarts from the Adobe ColdFusion the long history of fusion [inaudible] 57:55 was there he had a great speaking slot. I said and his slot on Node J.S. which is one of my favorite tools these days. He's a slot and no J.S. for ColdFusion developers. So, it's a great comparison of how you do it in C.F. and how you do it in [inaudible] I do know. It great to see a greater total is there and some of these older names. And then of course, a lot of Lucee folks are there. So, it's one of these I like most about C.F. objectives. I think that it's the most… Let's say inclusive not that Adobe is exclusive in any way. But in terms of Lucee attending conferences, the C.F. objective and probably the C.F. camp are the two that attract the most Lucee people. So, it’s great to see the mixture of both Adobe ColdFusion and Lucee people on it. So, I enjoyed that too. Michael: Great! Well, I really appreciate you telling us all about ColdFusion and AWS and Lucee and all the neat things in C-Fusion. And thanks for all the wonderful things you do in the C.F.M.L. world, Patrick. Patrick: Yes, it's my pleasure anytime and we're just happy to be continued to be committed to C.F.M.L. based systems and it's still our passions. So, we’re still on from sixteen years and counting in WebApper.